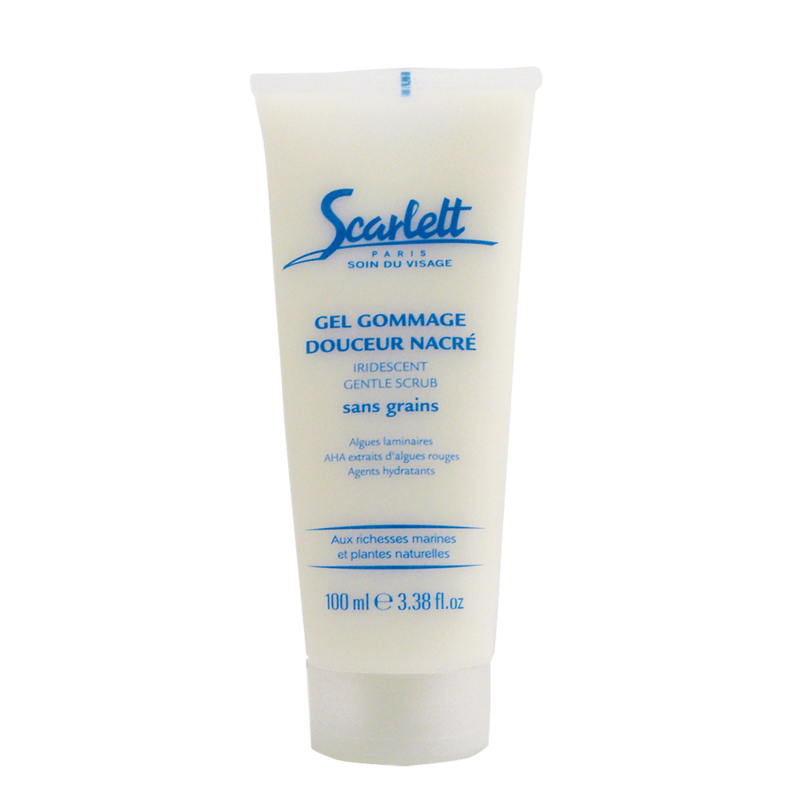 Gently exfoliates the most delicate skin types without abrasive particles, perfecting the skin’s texture and eliminating the dull veil on the skin. AHAs extracted from red algae have the ability to rid the skin of dead surface cells and impurities that “suffocate” it gently. For enhanced comfort, humectant agents help fight transepidermal water loss and increase skin softness. Extract of Laminaria algae also helps re-energize the skin. This scrub’s unique texture—a gel that turns into an oil—makes exfoliation a truly enjoyable experience, illuminating the complexion and helping the skin to breathe. Apply with dry hands to clean, dry skin. Gently massage the whole face in small circular motions, avoiding the areas around the eyes, until the gel dissolves into an oil. The time it takes for the texture transformation to occur can vary according to skin type. To facilitate transformation, it is advised not to concentrate on one area, but leave the gel to rest for a few moments while moving on to another part of the face. Rinse with lukewarm water.